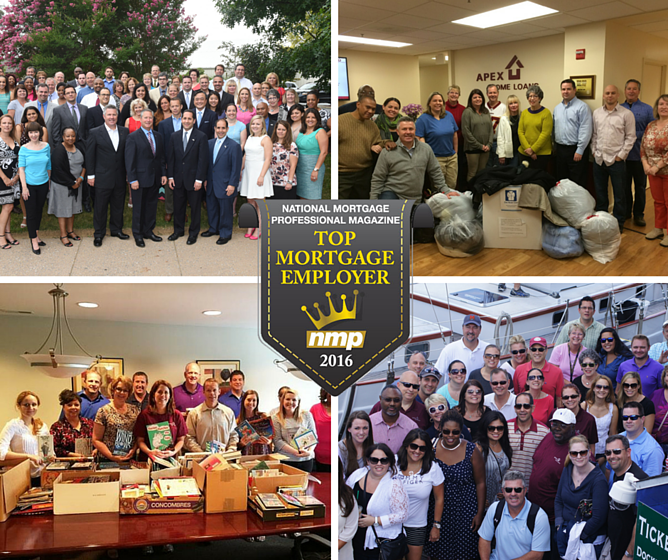 Last year, one of Apex Home Loans' ambitions was to make this company an even better place to work—a place where top mortgage professionals want to be. 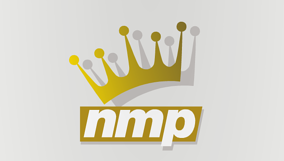 Well, today we’re thrilled to announce that we’ve reached another milestone on the path to accomplishing that goal: Apex has been honored as a Top Ten Mortgage Employer in the Mid-Atlantic by National Mortgage Professional (NMP) Magazine, one of the top sources for up-to-date mortgage industry news, insight, and advice for mortgage professionals. This honor is both serendipitous and timely: Apex is currently hiring to fill a variety of positions at several branches, and we’ve already kicked off the year with the recruit of top talent in the hire of leading loan officer Matt Lieberman. What makes Apex a great workplace? 1. Supportive Company Culture: In the words of our newest Loan Officer, Matt Lieberman, “the culture as a whole at Apex is centered around being helpful and wanting employees to succeed.” Regardless of your job role, you’ll have the tools you need to get your work done effectively. 2. Community Connectedness: Through Apex in Action, employees are given the opportunity to make a difference in the community in which they work, creating meaningful learning and outreach opportunities for employees. This has had a profound impact on our staff and business—find out how here. 3. Employee Appreciation Events: In addition to the unexpected surprises employees at Apex are given, the company also hosts four events throughout the year that are sure to delight. Whether we’re sailing on the Chesapeake, celebrating the holidays at Ruth’s Chris, or cosmic bowling, there are always good times to be had. 4. An Authentic Commitment to Continuous Improvement: Apex Home Loans is always looking for new ways to boost employee morale and improve the already-excellent experience of working here. Just ask our CXO (Chief eXperience Officer), Steve Dorfman, who’s perpetually implementing new policies to keep employees happy and productive. These four strongpoints are just a sample of the things that make Apex a fantastic workplace. These days, competitive compensation and strong benefits are just par for the course. Whether you’re a Loan Officer looking to take your business to the next level, a mortgage planner, a loan processor, an industry veteran, or a newcomer to the mortgage industry, learn how you can start a new chapter in your career at Apex by clicking below!